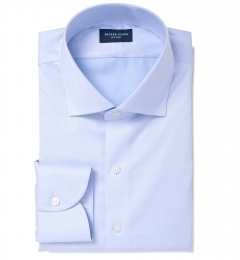 What’s the difference in wrinkle resistance between non-iron and wrinkle-resistant dress shirts? Non-Iron treated shirts are going to have superior wrinkle resisting performance compared to wrinkle-resistant shirts. Wrinkle-resistant fabrics definitely need to be ironed or pressed after they are washed for a clean, professional appearance. The treatment is such that your shirts stay looking more crisp throughout the day than they otherwise would, were they not treated. Non-Iron shirts, on the other hand, require little-to-no ironing following a wash at home to achieve a flawless appearance. 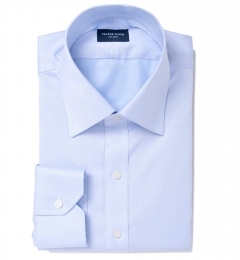 If you have your non-iron shirts washed and pressed at the cleaners, even better. 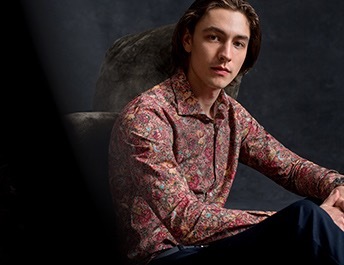 With normal wear over the course of the workday you’ll find the shirt to be relatively unchanged, aside from points of articulation like the inside of the elbows. What’s the difference in feel between non-iron and wrinkle-resistant shirts? Wrinkle-resistant treated fabrics tend to look and feel similar to untreated fabrics. The treatment is applied to the fabric during the finishing process, rather than the fully finished shirt, allowing for enhanced breathability and softness. Another factor in the breathability and softness is the fact that all Proper Cloth wrinkle-resistant fabrics are 100% cotton. 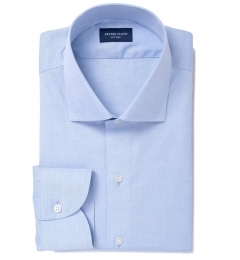 With non-iron shirts, the bonded cotton fibers are a double-edged sword that allows for an unmatchable wrinkle-free finish, but also causes the fabric to be less breathable and less smooth to the touch. 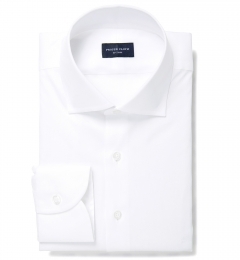 We find it very important to use high-quality fabrics for our non-iron shirts, such as our 100% cotton Non-Iron 100s White Supima Twill, so that Proper Cloth non-iron shirts will wear much more comfortably than non-iron shirts from mass market retailers. How is the manufacturing process different for wrinkle-resistant fabrics vs. non-iron shirts? 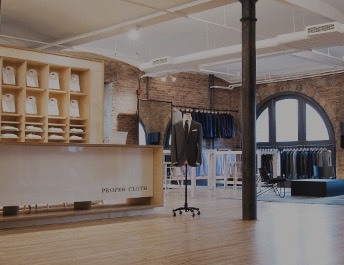 At Proper Cloth, we choose to treat our “Wrinkle-Resistant” fabrics with a water-based chemical process that occurs at the mill level, rather than once the shirt is made. The fabric later arrives at our manufacturing facility, ready to be cut to your custom size/design in the wrinkle resistant material. Non-Iron shirts are different in that your shirt is cut and sewn to your size/design specifications and then placed in a non-iron treatment vat. We use special fabrics that are prepared by our fabric mills to accept this non-iron treatment. The non-iron treatment saturates the entire shirt, bonding the cotton fibers to each other at a molecular level, making the fabric much more difficult to crease. One shouldn’t forget that the underlying fabric weave, weight, and cotton quality play a very important role in overall wrinkle resistance. Generally, thinner fabrics made with single ply construction will wrinkle more easily than 2-ply fabrics with a bit more body. 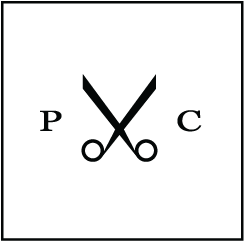 Broadcloth (also known as poplin) wrinkles most easily of the fabric weaves, so if you really care about having a shirt that’s easy to maintain we suggest going for a twill, pinpoint, or royal oxford. High thread count fabrics (120’s-170’s) tend to be slightly more fragile and prone to wrinkling than many fabrics, so we find the best natural wrinkle resistance will come with fabrics made in 80’s or 100’s 2-ply construction. 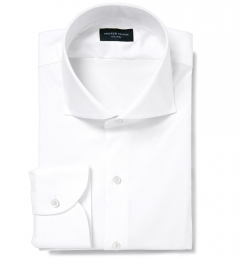 Non-Iron shirts were first introduced in the early 1990s and were slowly adopted by shirtmakers at first. It wasn’t until the late 90’s when these shirts started being widely offered, though. These shirts really took off in the 2000’s, accounting for almost 25% of dress shirts sold in the US in 2008. What Makes a Fabric Wrinkle Resistant?